Lumberjack's job is supplying all types of wood to the various craftsmen in all four corners of the World of Twelve. And this profession is also considered the hardest gathering profession in the game along with fisherman. There definetly is no fast way to level this professions, and the reason why we post this article is to help you to level lumberjack efficiently. Lumberjack is considered the hardest gathering profession in the game along with fisherman. Miner had several locations where you could find alot of ores. They don't grow on the fields, but trees do! That's a bad thing about lumberjack, you will have to walk a lot to cut several trees. But at level 100, you can supply most of the mats needed to level carver and smith. Although having a miner too will make things easier, lumberjacks can level them almost alone. It is slighty harder than miner and a bit more rewarding. Since the trees are spreaded all over the world, we will use a very useful tool called "2.0 Dofus carte"( we will refer to it as "carte"), which can be found by simply searching "dofus carte" on Google. It is very easy to use, just click a tree in the left panel to see where it can be found. You will notice small to huge Dots, thus representing the number of trees that can be found on a map. It is useful for creating loops. Beginning levels, mainly cut ash and chestnut in the astrub forest area or Milicluster zaap area. If those areas are crowded check the amakna forest loop. You can't cut anything but ash. Go to the [5,7] zaap and cut all the ash you can find. Use the carte to create a loop of your own. At level 10 you can add the Scaraleaf plain loop to your list, as it has a reasonable amount of chestnut trees. Walnut wood is now ready to cut. The scaraleaf plain and astrub forest got walnut too. Same loops as above. Early 20-30's Milicluster loop, Astrub Forest loop, Amakna Forest loop and Scaraleaf Plain loop are pretty good choices for ash, chestnut, walnut and oak with reasonably big spawns. Walnut becomes even less efficient than cutting ash in the later levels. Maple may seem like a good option to cut, but it is pretty rare and will never be a tree you will grind on, although walnut and maple are good for money making. At levle 30 you can cut oak which can be ALSO found in the scaraleaf plain loop . Good time/xp, worth cutting! Some of it in astrub forest as well. Oliviolet and Bombu are now available!! excellent source of xp for any level. They aren't worth too much, so 100 lumberjacks won't cut them, but alot of novice ones like you will, so they may be crowded. Oliviolet cna be found close to the Dark road zaap in sidimote moor, while bombu can be found by the hills next to astrub fores, in lousy pig plain area. From now on, ash wood gives low xp, so focus on oliviolet/bombu and scaraleaf plain loops. At level 40 maple can be cut, which isn't recommended at all. VERY LONG cutting time and not too much xp. But still good while other loops spawn. Alot of it can be found in the Porco territory, in the south. Bamboo and Yew are available at levle 50. Yew can be found in the porco territory loop as well as eltneg wood. Bamboo is found solely in Aerdala village. If you are high level, beat the guards ( if you are in the opposite alignment). At this point you should really get bonta/brak as some of the xp trees. Continue with oliviolet and bombu, scaraleaf plain, and sometimes eltneg wood. Eltneg has some aggro monsters , but theres alot of trees out there. Still the same loops as before, at 60 almost fully utilizing the Amakna forest loop as you can cut trees up to wild cherry. Mid-levels, new trees, old-loops, at 80 you can fully utilize the scaraleaf plain loop and porcos terriotory, I suggest sticking into the same old loops, yielding best experience time/exp ratio and respawn times are faster. Cherry is unlocked at 60 and Ebony at 70, both being rare and are meant to complete your loops. There are 2 new trees: Dark bamboo and Charm. The charm tree is very rare and the wood is expensive, so isn't recommended for leveling anyway. Dark bamboo is A MUST , so be sure to get into feudala and cut some. Chances that you are too low levle to beat guards are quite high, so you should change the alignment in order to access it. It take some time to cut it, but it gives 50 xp. Oliviolet/Bombu loops are still the best. You may wish to stop cutting trees in scaraleaf plain as there are too low level trees and thus small xp/time ratio. Another big difference between miner and lumber is that the lumber doesn't have high level recipes, ( max 4 slots, which si extremly expensive), so it is mostly based on gathering. Once you hit 100 you will be able to cut the most expensive tree in the game, Holy Bamboo (10kk/ea in Rosal). If you reached lvel 100 lumberjack, Get a Lumberjack rune so people can pm you if they need wood/planks. some planks are used to craft potions for trophies, so you will get a considerable amount of money as there are less lumberjacks than miners. It will cost you approximately 3-4 months to get to level 100. If you reach this goal, you can start making money with this profession. 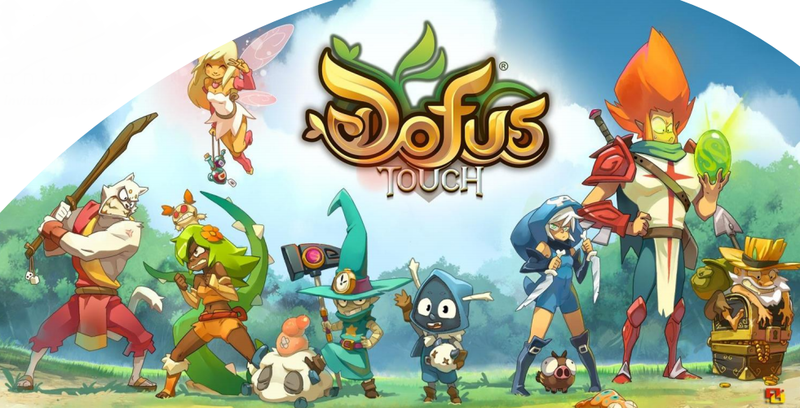 By the way, the reliable Dofus Touch services online store, DofusTouch-Kamas.com offers a dofus touch kamas promotion which last 10 days. Players can take advantage of the discount code to enjoy 3% discount and the coupon code is "GOLD-BCW25". To Celebrate the upcoming new year, we will hold the 4% discount promotion. During the December 26, 2016 - December 31, 2016, you will get the 4% extra bonus with your each buying. The coupon code is "PNY-KAMAS".